Acupuncture for digestive problems is safe and effective way to naturally treat many acute and chronic conditions of this important body system. If you've tried conventional medicine to keep digestive problems in check without success, consider acupuncture, which is a holistic health treatment without side effects. How does acupuncture treatment help? Using acupuncture for digestive problems works by nourishing related organs, reducing inflammation of the stomach and pancreas and improving digestive functions. During a treatment, the practitioner will identify certain acupuncture points on the body, typically those that speed up metabolism, increase gastrointestinal muscle contraction and relaxation, reduce gastric acid secretion, regulate small and large intestine function, and restores stomach acidity to normal levels. In conjunction with Chinese herbal medicine and stress reduction techniques, acupuncture for digestive problems is beneficial in the treatment of general gastrointestinal symptoms. In addition to acupuncture for digestive problems, moxibustion — a technique of applying the herb mugwort to acupuncture points — may also be utilized as an anti-inflammatory agent and to tonify imbalances. Individuals often experience long-term symptomatic relief with acupuncture for digestive problems, as well as decreased stress and improved energy. Acupuncture for digestive problems may integrate recommendations for diet and lifestyle modifications in order to correct dietary imbalances and regulate digestion. The World Health Organization recognizes acupuncture for digestive problems as an effective treatment for digestive imbalance. 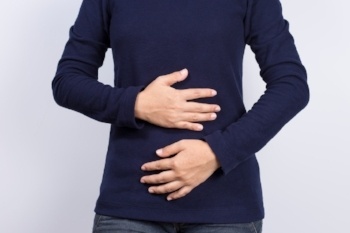 Digestive disorders may be caused by a variety of factors, such chronic stress and other dietary issues, such as overeating or eating too many high-fat foods. Acupuncture can treat digestive imbalance by reducing stress and regulating the endocrine and nervous system hyperactivity that often accompanies digestive disorder patterns. Acupuncture is a treatment can be integrated into allopathic or holistic medical care seamlessly. Acupuncture for digestive problems is a natural health maintenance therapy. Acupuncture and Massage College’s masters degree of Oriental medicine and massage therapy programs prepare graduates for careers as acupuncture physicians and massage therapists. For program information you can contact admissions or call (305) 595-9500.